Are you caring for someone with advanced Parkinson's Disease? Or are you a caregiver looking ahead, trying to plan for the future? For caregivers and their loved ones in the later stages of Parkinson’s, this time can be incredibly challenging emotionally, physically, and financially. However, there are simple ways to make this chapter of Parkinson’s easier on you, as a caregiver, and on your loved one. In this post, we’ll talk about how to build that network for your loved one, but also dive into what you’ll be faced with as a caregiver and how to make sure you’re finding the support you’ll need as well. Our guest, Anne Wallis, is the Associate Director of Education at the Parkinson’s Foundation. She’s had years of experience fine-tuning resources and programs that have supported thousands of people affected by Parkinson’s across the globe. Anne oversees two of the foundation’s signature programs - Aware in Care and the Caregiver Summit - which have helped thousands of people affected by a Parkinson’s diagnosis. She’s talked to us before about caregiving early after a Parkinson’s diagnosis, but this time she’s back to address the specific challenges caregivers face in the later stages of Parkinson’s disease. Think about who in your life may be available to help in some way, but don’t try to narrow it down to exact skills and availability. It doesn’t have to be a one-to-one obvious person for a particular need. Think about people like your neighbors, your kids, people at your house of worship, and then ask them to do a specific thing on a specific day. When your request is specific and reasonable, and people are able to help, they typically will help. Start small to get a few hours to yourself. Those small breaks can make a huge difference. Inviting family and friends to websites like Lotsa Helping Hands can help herd your personal community into the specific logistics (times, places, and ways) of working together. Creating a private group of Facebook friends who are local to you is another way of contacting those who may be able to step up and help as situations arise. I would recommend finding a local Parkinson’s support group because even if the people in those groups aren’t people who are able to drop in and help on a tough day, they are people with whom you can commiserate. They may even have family and friends willing to help you, too. I challenge the idea that there’s really “no one” to help. Often our pride and anxiety, or not wanting to admit our needs to others and ourselves, keep us from saying “We need help.” Really think about making yourself vulnerable to ask, because there are a lot of people who really do want to help you and get into the habit of saying “Yes” when people offer to help, even to small tasks. If you get in the habit of saying yes when offered help, you can go to them with requests later because you know you can rely on them. Invigorate PT and Invigorated Community on Facebook is a virtual resource where you can find support, too. You never have to do it alone, and the community there will help as much as they can. It’s important to think about who can help you find the tricks of the trade and the tips that make dealing with advanced Parkinson’s a little easier. Occupational therapists are often the first step. They are pros at finding simple tools, techniques, and assistive/adaptive devices to make it easier to solve problems, especially in the home. Physical therapists can teach you how to prevent injury to yourself, especially with healthy practices for safely lifting or transferring your loved one. Palliative care is not as common in the United States, and it is related to but different from hospice. It’s working with a team of experts to provide symptom and pain management along with spiritual care and medical support to people with serious illnesses. It’s a great fit with a chronic and incurable disease like Parkinson’s. You may be able to find these resources under “supportive care,” so people don’t confuse it with hospice. Spiritual care can also mean a lot of things, and it will be tailored to what is relevant to you and your needs and beliefs. If your movement disorder specialists aren’t sure about how to access this care, ask if there is a social worker on staff to help you find local resources for this kind of care. One of the valuable tools the Parkinson’s Foundation provides is called CareMap. 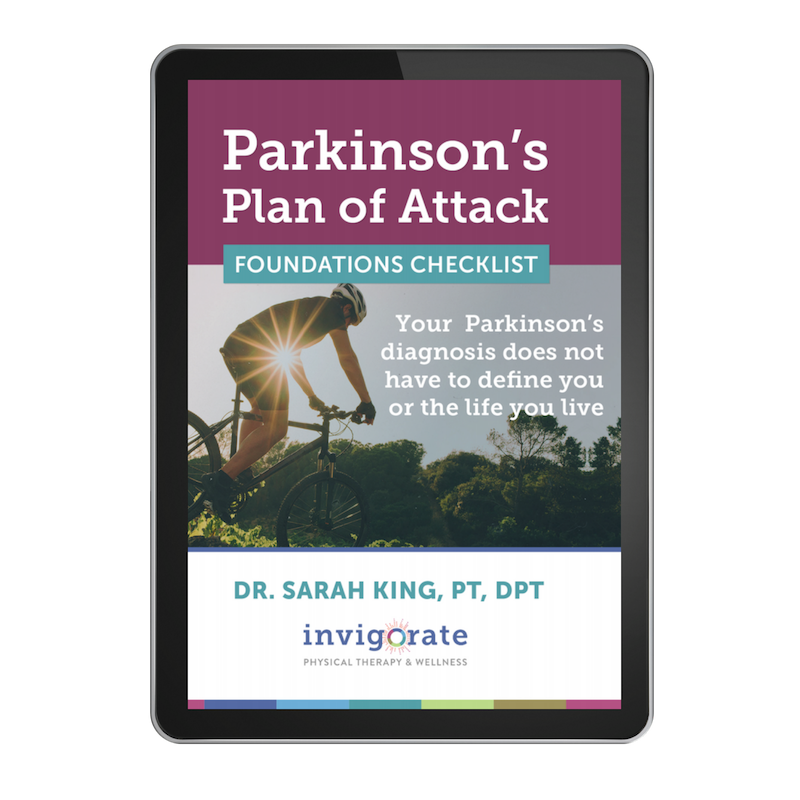 Think of it as a how-to guide to coping with problems that may arise as a result of advanced Parkinson’s. There are videos to help with dressing, eating, using the restroom, and a ton more, as well as caregiver stories and tips.